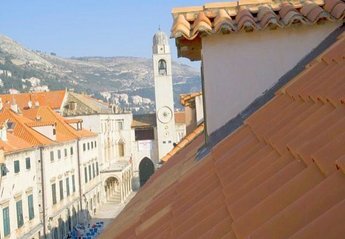 Found 26 holiday rentals in Dubrovnik Old Town. Apartment Ivo The apartment Ivo (40 m2) is tastefully decorated and consist of one sleeping room and a sofa bed for two in the living room. Studio apartment Kate The apartment Kate is placed at the attic with a great view to the main street - Stradun. Charming 2 bedroom apartment in Dubrovnik Old Town located close to very popular Buza bar and beach. 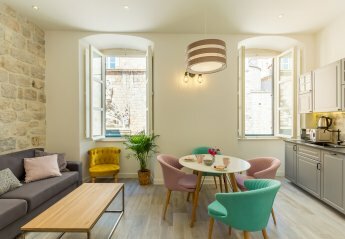 This 1 bedroom apartment is located in Dubrovnik Old Town and sleeps 4 people. It has WiFi and air conditioning. 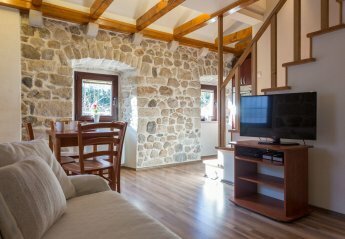 This 3 bedroom apartment is located in Dubrovnik Old Town and sleeps 6 people. It has WiFi and air conditioning. This 2 bedroom apartment is located in Dubrovnik Old Town and sleeps 4 people. It has WiFi and air conditioning. 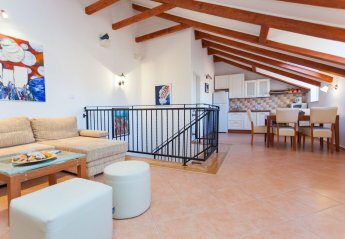 This 3 bedroom apartment is located in Dubrovnik Old Town and sleeps 7 people. It has WiFi and air conditioning. 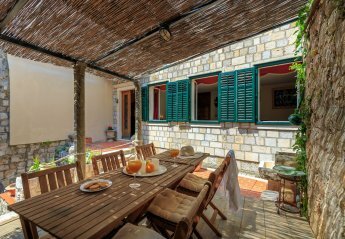 This 3 bedroom house is located in Dubrovnik Old Town and sleeps 6 people. It has WiFi and air conditioning. 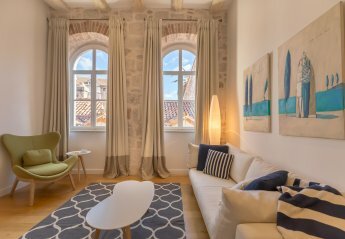 This 1 bedroom apartment is located in Dubrovnik Old Town and sleeps 3 people. It has WiFi and air conditioning. 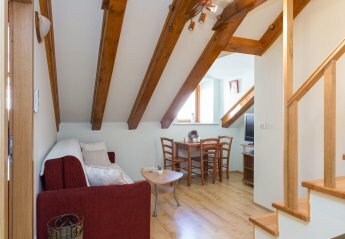 This 2 bedroom apartment is located in Dubrovnik Old Town and sleeps 6 people. It has WiFi and air conditioning. This studio apartment is located in Dubrovnik Old Town and sleeps 4 people. It has WiFi and air conditioning. This studio apartment is located in Dubrovnik Old Town and sleeps 2 people. It has WiFi and air conditioning. 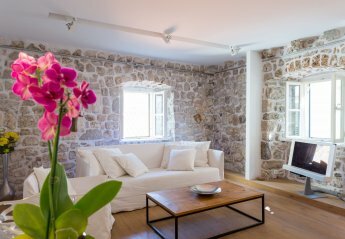 This stylish and luxurious 400-year old house is located inside the walls of the Old Town in Dubrovnik and has a terrace with a stunning view over the Adriatic sea, the island of Lokrum, the city walls and the Srd mountains. 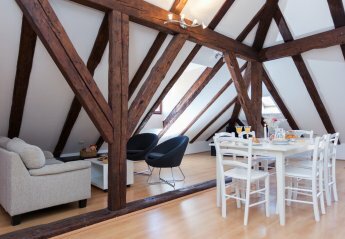 The stunning property commands a superb position in the Old Town with the large apartment sleeping 4 with gorgeous views overlooking the Cathedral and the Square below as well as Srj hill high over the city. Wifi, air con, all linen, taxes and luxury as standard! Simply but stylishly furnished the property has charm and character and beauty. The Old Bakery commands a superb position in the Old Town, sleeping 3, overlooking a garden of vines and the old city walls and buildings beyond. Wifi, air con and linen are all included! Looking for holiday lettings in Dubrovnik Old Town? 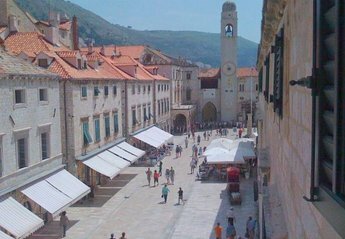 We are in the process of placing rental properties in Dubrovnik Old Town on this page. Please enter your name and email address below and our team will email you our selection of properties in Dubrovnik Old Town. And this is a FREE service!